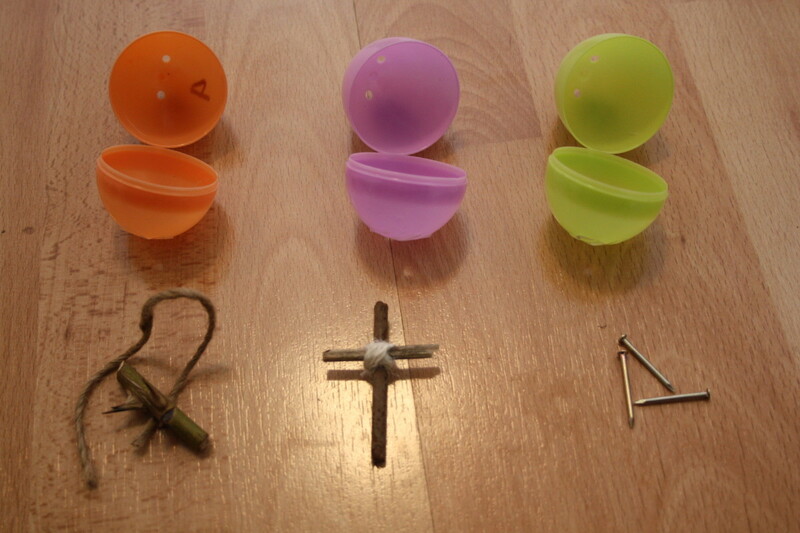 Inside each of 12 eggs is an object that represents the end of Jesus’ life. The objects correspond to Bible verses. 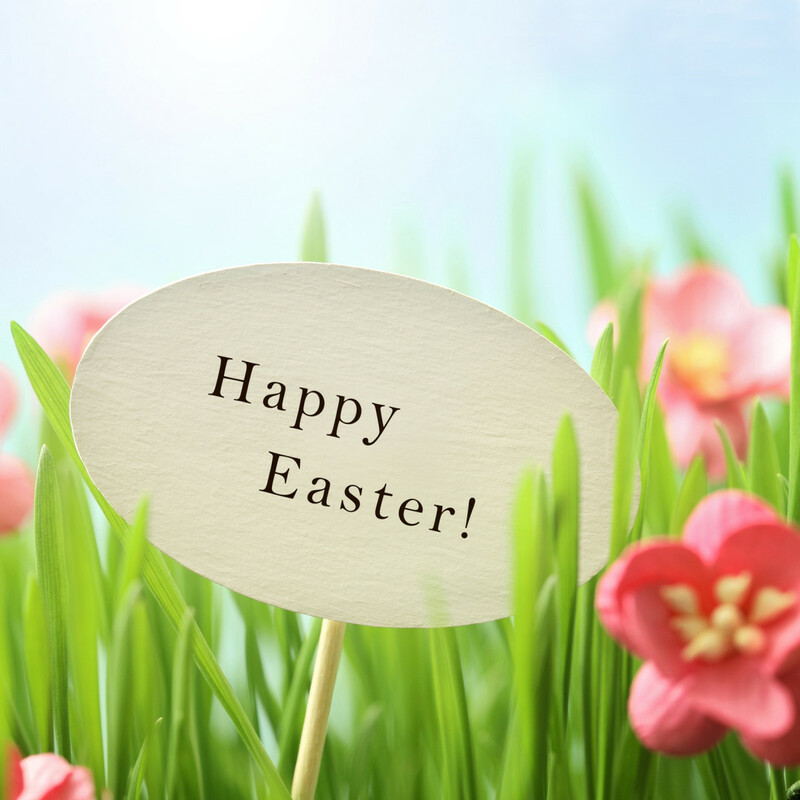 If you open the eggs in order and read the corresponding Scripture, you will read Jesus' story beginning at the Triumphal entry all the way to His resurrection. Being able to hold a visual really helps kids to remember and understand the story. We use the English Standard Version for our verses. 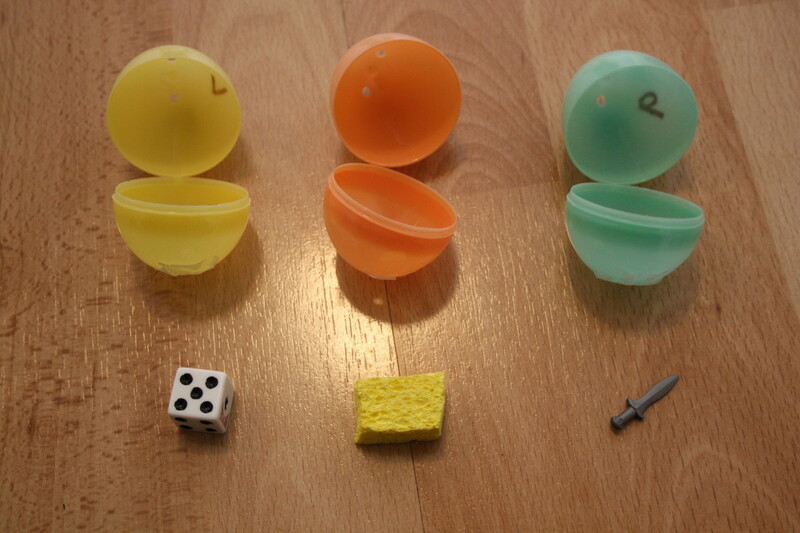 Also, we printed them out and glued them to the inside of the egg carton for easy reference. I made my leaf out of green cardstock because that’s what I had on hand. My first set had a plastic leaf. (I sure wish I could find that; it was much more durable than this one is going to be!) I saw a lady online who had a tiny plastic donkey she used as a symbol with this egg. It was adorable. We used a crouton. Others used a piece of a cracker. Then one of the twelve, whose name was Judas Iscariot, went to the chief priests and said, “What will you give me if I deliver him over to you?” And they paid him thirty pieces of silver. I used various foreign coins because they’re fun :) Our first set had a nickel in it. We used a piece of twine and a little section from our rose bush. My husband isn’t too excited about having real thorns in the egg, so I might replace it with a brown pipe cleaner twisted into a miniature crown. It doesn’t quite have the same horrifying impact, though. and he went out, bearing his own cross, to the place called The Place of a Skull, which in Aramaic is called Golgotha. There they crucified him, and with him two others, one on either side, and Jesus between them. We just tied two sticks together with a piece of string from some leftover burlap. You could glue toothpicks together. Or I’ve seen people use a charm from a necklace. I personally like the more rugged crosses. Jesus didn’t die for us on anything pretty. I bet he had plenty of splinters. Surely everyone has one or two of these that are not in use. I bought a pack of dice. I probably should have just taken one out of one of the games we no longer play, but I didn’t. Anyway, there were 10 in the package. So if anyone is reading this who knows me, feel free to ask me for one! And one of them at once ran and took a sponge, filled it with sour wine, and put it on a reed and gave it to him to drink. We just cut a little piece off of a sponge. Our original set didn’t have this, but I liked it, so we have added it. I read that someone had her husband whittle a piece of wood to make a spear. I bought a Hobbit Lego set from Target and stole the sword out of it. There are two spears in the set, so my son (who will be getting the Legos for his birthday) won’t even notice that one is missing! So they took the body of Jesus and bound it in linen cloths with the spices, as is the burial custom of the Jews. We tore a small piece of white cloth and used a few cloves. You could use one or the other of these symbols and still effectively get the point across. I only used both because we had both in the house. I do love the cloves. They make the whole egg carton smell great – “like Christmas” as my daughter says. The best news of all! Jesus did not remain dead in the tomb! He is risen! Here are all the verses we used. Feel free to copy and paste this section into a Word Document so you can use it for your own set of eggs. 3. Matthew 26:14-15 - Then one of the twelve, whose name was Judas Iscariot, went to the chief priests and said, “What will you give me if I deliver him over to you?” And they paid him thirty pieces of silver. 5. John 19:17-18 - and he went out, bearing his own cross, to the place called The Place of a Skull, which in Aramaic is called Golgotha. There they crucified him, and with him two others, one on either side, and Jesus between them. 7. Luke 23:34 - And Jesus said, “Father, forgive them, for they know not what they do.” And they cast lots to divide his garments. 8. Matthew 27:48 - And one of them at once ran and took a sponge, filled it with sour wine, and put it on a reed and gave it to him to drink. 9. John 19:34 - But one of the soldiers pierced his side with a spear, and at once there came out blood and water. 10. John 19:40 - So they took the body of Jesus and bound it in linen cloths with the spices, as is the burial custom of the Jews. 11. Matthew 27:59-60 - And Joseph took the body and wrapped it in a clean linen shroud and laid it in his own new tomb, which he had cut in the rock. And he rolled a great stone to the entrance of the tomb and went away. 12. Matthew 28:6 - He is not here, for he has risen, as he said. Not crafty but like this idea? You can purchase a set of Resurrection Eggs. Also, there is a book called Benjamin’s Box that will go through the story with you. I haven’t read the book, but it gets great reviews. 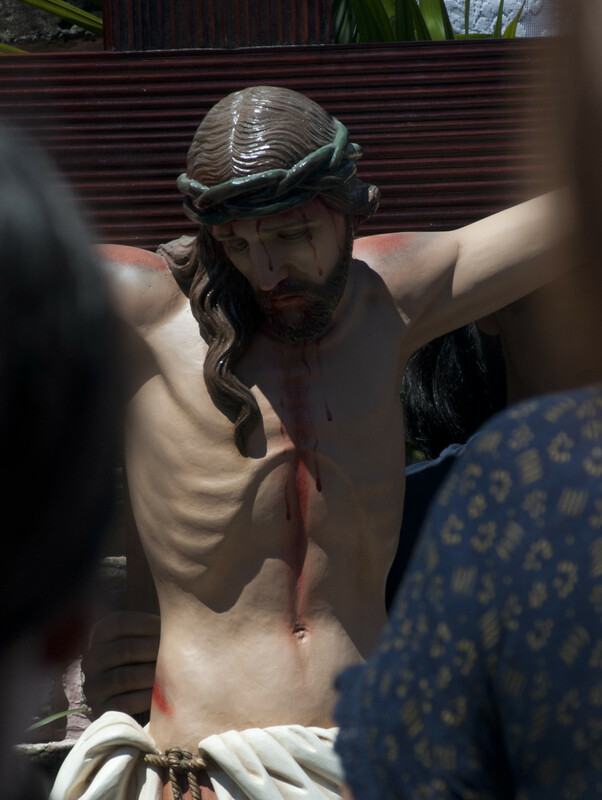 Other sets have chosen different events in Jesus’ death and resurrection to emphasize. 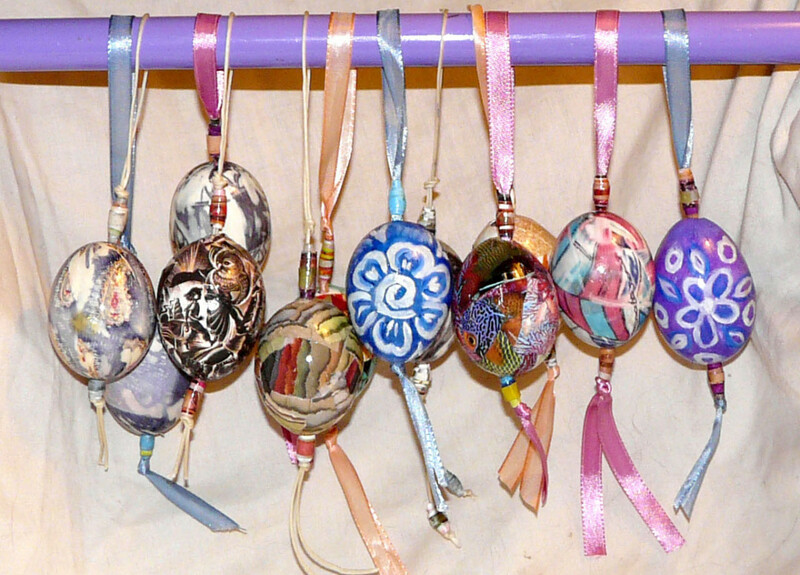 I really like how this mom has used Resurrection Eggs with her kids and community. I decorated our egg carton with leftover contact paper and glued the label on the top of it. I saw others on Google images that had cross stickers and other crafty cute things on the top. I haven’t bought plastic eggs in years, so maybe this is old news. The only ones I could find have holes in them. What are those for?!? The nails will poke right through those holes, so we put tape on the bottom of some of them. 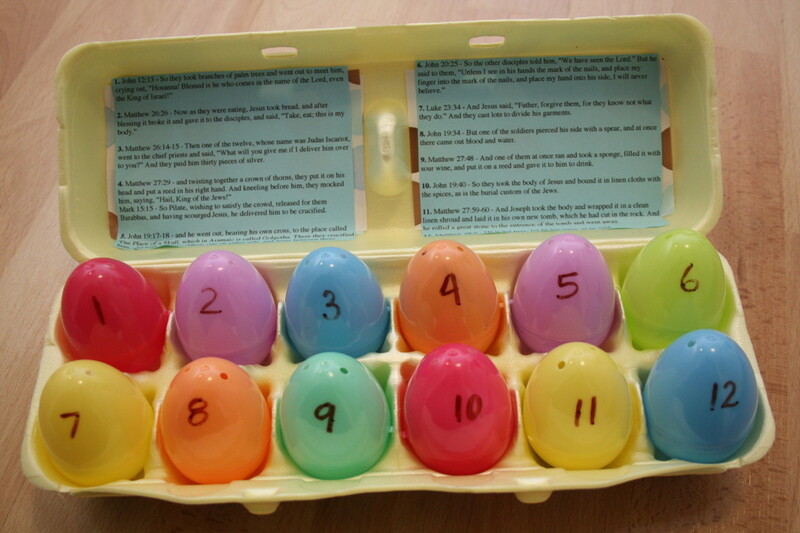 We printed out the verses and glued them to the inside of the egg carton so they are easily accessible. And I do recommend numbering the outside of each egg. We tell this story every night for several weeks leading up to Easter. 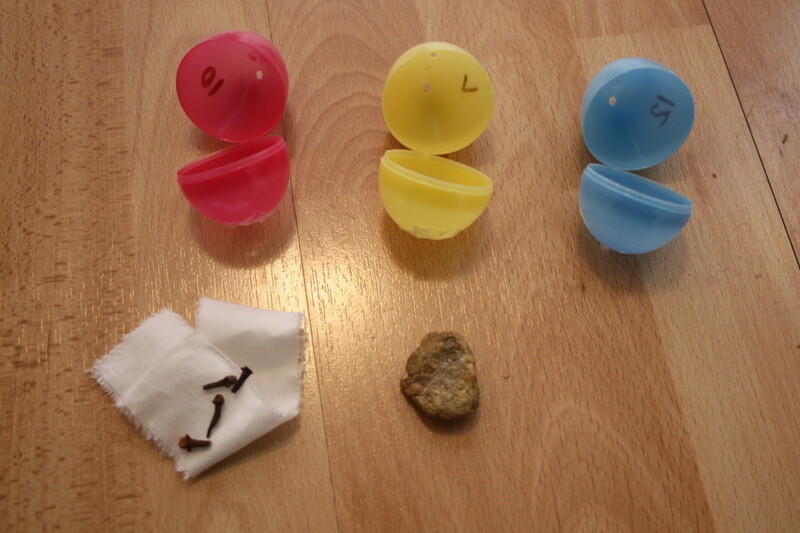 It delights my insides that the kids know what the objects represent and sometimes they can predict the object in the next egg. Warning: This set is NOT a toy. All of the pieces are choking hazards and should be kept out of reach of small children. I’ll try to remember that. This is so awesome and creative! Im playing this during our Easter Bible study except I'm going to add my own twist! I'm not going to number the eggs, and I'm going to have each person who opens an egg try to guess what part of the resurrection it represents! I'm also going to ask then what it means to them. Finally, because the eggs won't be numbered, I'm going to have the group. As a whole, work together to try to put everything in the proper order. Thank you! Cute idea; not my holiday so I probably won't ever do it but I might create a new version to fit our own beliefs. I just love kids crafts, this is awesome. Thanks for sharing. A very interesting hub you got here. I enjoyed reading this. This gives new meaning to easter eggs in relation to easter. Thanks for sharing. 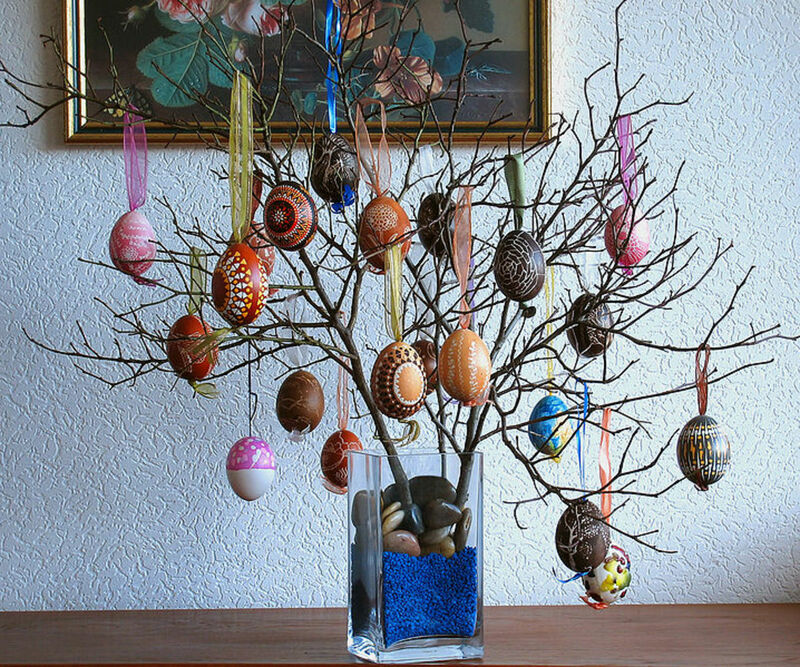 Wow, my wife and I always struggle with what to do with our Easter eggs. I am a minister so the egg hunt usually happens after church is done. This would be a great way for them to find the eggs, and help reinforce what they have heard in church. Wonderful idea! Love it! This is so beautiful, I love this. Thank you so much for sharing this. I'm going to do this with for my granddaughter. I know she will love this too. it is irresponsible parenting to subject a young child to the full goriness of this. 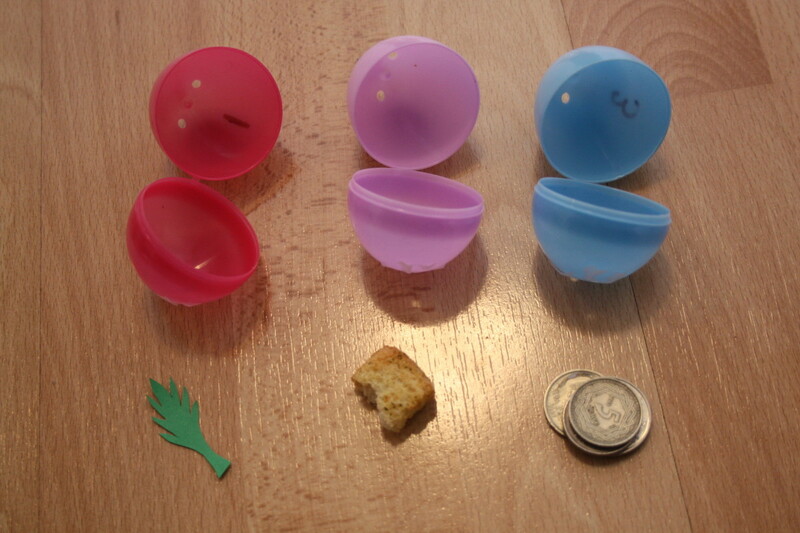 I love Resurrection Eggs, but I didn't know about this idea until my kids were much older. My son is getting married this summer though so maybe in a few years, I can do this with my grandchildren. Congratulations on Hub of the Day! Wow, I see you published 13 months ago, I wonder why I missed this one? I would love to do this with my grandchildren. 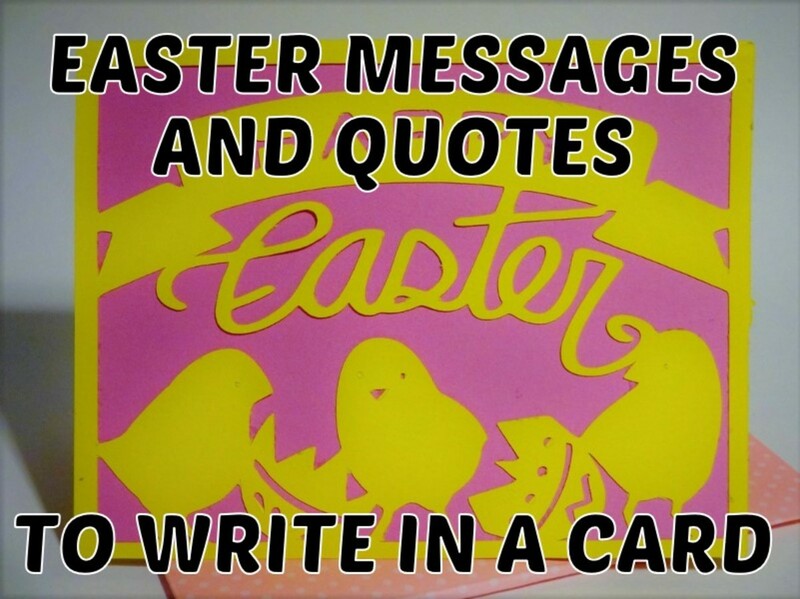 Awesome Easter project to teach truth to children. Back to say congrats on your Hub of the Day award for this very nicely done post! 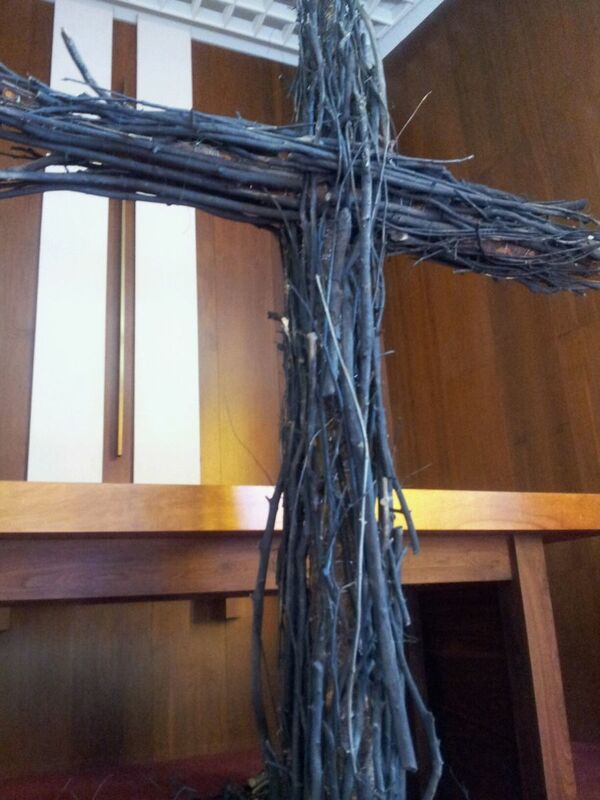 What a wonderful way to teach the story of the crucifixion and resurrection! Thanks so very much for sharing this. Jen - hoping Jesus' story comes to life for all the kids in your circle! 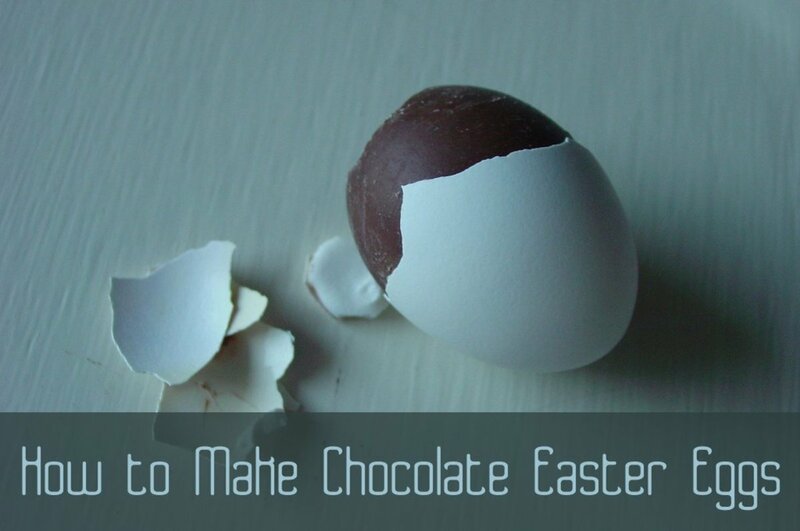 Putting this on my Easter Pinterest board! What a wonderful idea for Sunday school at Easter. At home as well. This could be used for VBS, too! Thank you Simoninikid! I know my kids would love to go through these eggs with their Grandparents! Very thorough, so thorough in fact, even a Gramma like me can follow them! Great job! Love this idea.